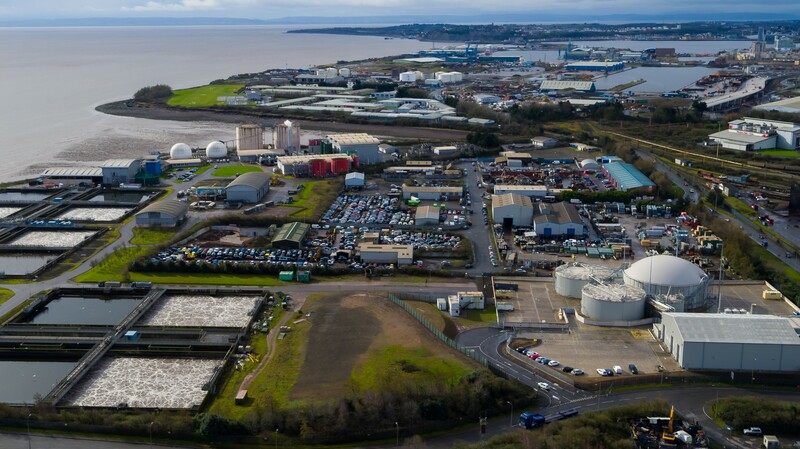 This aerial view of Cardiff Docks takes in three structures from two separate projects, designed and project managed by our Biogas team and fabricated by our Manufacturing arm. The projects are two 2,000m3 slab-mounted BioSpheres for Dŵr Cymru Welsh Water at their Cardiff sludge treatment centre on the far left, and a 32m diameter anaerobic digester membrane BioSphere roof for the Cardiff Food Waste AD plant in the lower centre. We like to think that both of these successful projects enhance the Cardiff scene..!